We got 100 miles plus and we are in Lompoc after driving through Annenberg Air Force Base in the dark. 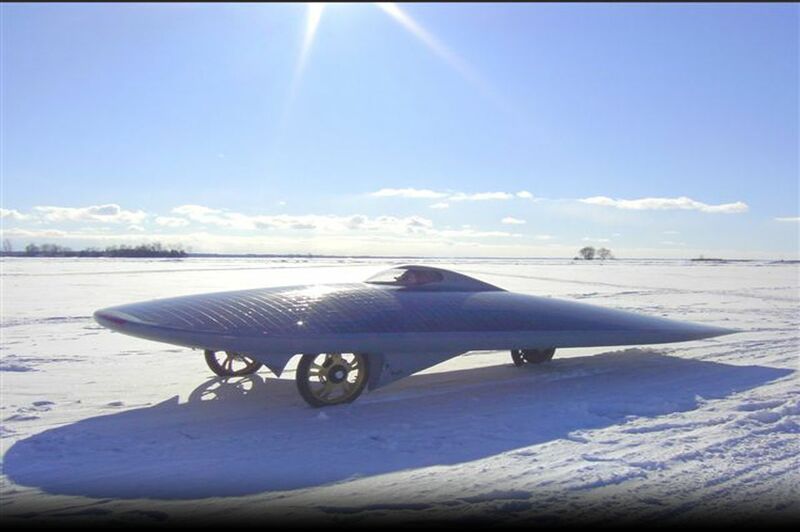 The solar car really looked 'UFO' with super bright LED running & head lights skimming over a super smooth road. Thank you for that low rolling resistance surface! It allowed us to get here in Lompoc. The UFO "little green man" joke lives with this project. But as we tailed the little car, I found myself praying that no one would respond as if it really WAS a alien vehicle!